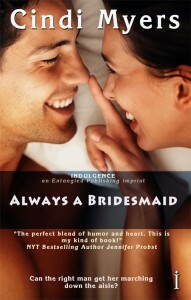 Home » Featured » April Indulgence Titles are Here! April Indulgence Titles are Here! Make way on your virtual book shelf (we love how easy that is!) because the April Indulgence titles are here and ready for download. Oliver Pendragon’s days as the Magician of Wall Street are over. 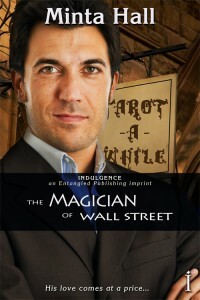 He’s lost everything: his business partner, his reputation, and the love of his life, Abby Daltry. When Abby’s father offers him a way to get everything back—including Abby—Oliver can’t refuse. Abby Daltry wants nothing more than to break away from the controlling men in her life. When a tarot reading reveals that she’s in danger and that her ex-lover will be returning to her life, she’ll do whatever it takes to prove her independence. Oliver will stop at nothing to prove his love and to protect her from the man out to kill them both, but Abby finds out the truth about his deal with her father and issues an ultimatum: he can have her or the company. As danger looms and shots fly, will Abby give into the passion that rises to the Magician’s command—the Magician who all-too-easily controls her heart? Indulge in Romance, and enjoy!